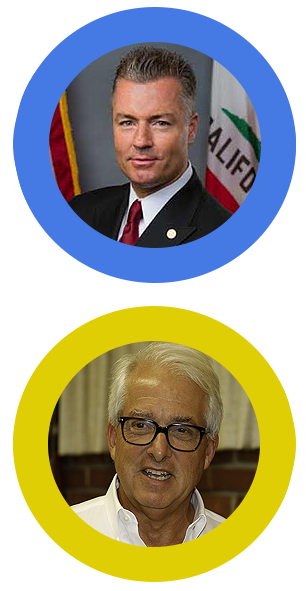 Note: We only included the leading gubernatorial candidates from each party according to what we found on Wiki, Ballotpedia and LA Times. These are not endorsements. We are a non-partisan campaign. We are sharing this with the understanding that people will vote for the candidates that they like. This is for the sole purpose of keeping our supporters informed. Newsom also praised Brown’s openness to scaling back the water conveyance project to a single tunnel, which he said he hoped would lead to a deal. Newsom had previously said Brown asked him to reserve his judgment about the multibillion dollar project. “While I disagree with the twin tunnels, most of his environmental decisions have been pretty good. I wish, though, that he had banned fracking. On the issue of water, do you support the delta tunnel project or proposals for new reservoirs? “The first thing we need is a long-range plan for water. The idea that the last water plan was done in 1957 is ridiculous. So first you do a long range plan for water, and then you decide what kinds of accommodations you have to make in order to realize the goals. At 41:26, Chiang says he hasn’t been satisfied with the environmental review of the tunnel project and that the process set out by the Legislature should be followed through. He is opposed to the tunnels but in favor of a transportation system that would link California. Allen rattled off a list of “day one” policy changes he would make if elected governor: repealing the newly approved gas tax; scrapping plans to replumb the state water supply system with the Delta tunnels; nixing the high-speed rail system and tossing out California’s so-called “sanctuary state” law. California’s water resource problems also need to be resolved, Cox said, but not by a pork-filled public works project like the proposed delta tunnel. “We’ve gotta balance the human need for water against the need to preserve natural fisheries,” he said. As Green Party candidate for Governor, I must state my position and unequivocal rejection of the Delta Tunnel Project. I studied geology, and understand the hydrology of California well. The Delta Tunnel Project, and others like it, have been proposed and shot down for decades. Removal of even more fresh water from the mouth of the Sacramento River would result in catastrophic seawater and saltwater intrusion into precious fresh ground water in the greater Sacramento Delta area. The ocean water’s creeping in. Please e-mail any potential additions, corrections or recent updates to [email protected] to help us keep this page updated to inform our supporters. Thank you!